The crew only had 20 minutes when the sun came out to get the shot. About 6.5 million tourists arrive in Salzburg, Austria, every year, with hundreds of thousands of them looking to retrace the story of “The Sound of Music.” Fans come to re-enact their favorite scenes, but one setting is off-limits to outsiders: the meadow from the film’s opening. “We actually went up the mountain in big, open carts, pulled by oxen. I would sit on top of all the camera equipment, and then they'd hoist me up and up we'd go,” Julie Andrews told ABC News’ Diane Sawyer. 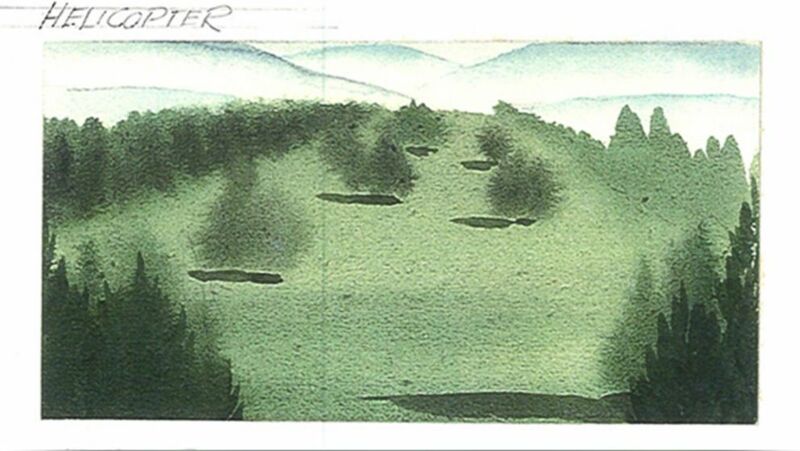 The actual hill used in the movie is in Germany, not Austria, on land, which, at the time, was privately owned by farmers. Today, it is owned by a famous mountain climber, who is reluctant to let outsiders onto their property, but granted permission to ABC News and 20th Century Fox. Fifty years after the movie was released, Sawyer traveled to the famous hill to try to recreate the movie’s iconic scene. (Copyright 2015 FOX. All Rights Reserved. ) An illustration of the opening scene from "The Sound of Music." Andrews said it was raining and windy when they filmed that scene over the course of a week in 1964. On the final day of shooting, the sun came out for 20 minutes to get Julie’s iconic shot. The birch trees were brought in just for the movie and were taken right out after filming ended. And the brook, which was actually plastic filled with water, was also brought in by the movie studio. They left it as a gift to the farmers, who later had it removed. Andrews also had to battle a helicopter that kept blowing up a tornado of wind on the hill. Her hair and clothes had to be refreshed after each of the nine takes it took to get the scene completed. (Copyright 2015 FOX. All Rights Reserved.) 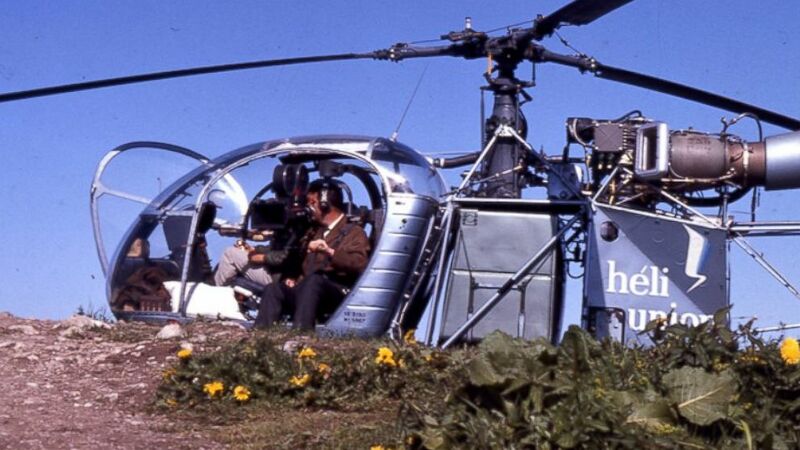 The helicopter and cameraman that filmed the opening scene from "The Sound of Music" are pictured here. Watch the video above to see how Sawyer used small, silent drones to get the same shot. "The Sound of Music" full photo credit: THE SOUND OF MUSIC © 1965 Twentieth Century Fox Film Corporation and Argyle Enterprises. Renewed © 1993 Twentieth Century Fox Film Corporation and Argyle Enterprises. © 1998 Twentieth Century Fox Film Corporation and Robert E. Wise. All Rights Reserved.